12. 02. 2017 13:50 18 (14 - Østberg Mads / Fløene Ola): We hit something on the fast section. I thought we had a puncture but it seems it was more serious. We slowed down - it's sums up our weekend! We felt the lack of preparation here. 12. 02. 2017 13:45 17 (14 - Østberg Mads / Fløene Ola): The setup changes we made overnight haven't worked so well. 12. 02. 2017 13:35 16 (14 - Østberg Mads / Fløene Ola): My pace notes were really bad in here - sometimes too fast and sometimes too slow. I had no confidence in them. 11. 02. 2017 15:58 14 (14 - Østberg Mads / Fløene Ola): I missed the corner before and lost some speed! Of course I wanted it [the record] - I was thinking about the jump all the way through. This is the most important thing in the world now. I couldn't stand up to the pressure, apparently! 11. 02. 2017 14:56 13 (14 - Østberg Mads / Fløene Ola): Not the worst activity for a Saturday is it? 11. 02. 2017 10:50 11 (14 - Østberg Mads / Fløene Ola): I enjoyed it. Quite difficult to handle this big wide car on the narrow section at the beginning but on the wider road it's fantastic. 11. 02. 2017 10:33 10 (14 - Østberg Mads / Fløene Ola): I can´t find the same rhythm as yesterday. I'm struggling to adjust to driving with a rear wing again. 10. 02. 2017 16:38 7 (14 - Østberg Mads / Fløene Ola): Absolutely no fun driving without the rear spoiler. It's been so hard to just stay on the road. I put my best tyres on the rear here to try and stabilise the car but it didn't work so well. That's good news that our spoiler was returned back to the team, there aren't too many spares around and I didn't want to do the rest of the rally without it. 10. 02. 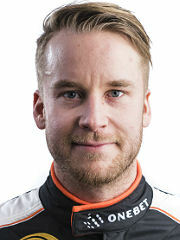 2017 15:13 6 (14 - Østberg Mads / Fløene Ola): Ostberg's team has appealed to Rally Sweden fans to find and return the missing wing. 10. 02. 2017 15:12 6 (14 - Østberg Mads / Fløene Ola): It's horrible without the rear wing. The car is designed to have it, and without it it's the worst handing car. 10. 02. 2017 14:07 5 (14 - Østberg Mads / Fløene Ola): Car is missing its rear spoiler. It came off when I was absolutely flat out in sixth gear. 10. 02. 2017 11:04 4 (14 - Østberg Mads / Fløene Ola): I'm struggling to find the grip, especially under braking. The ice is gone, but I'm not yet on the gravel. 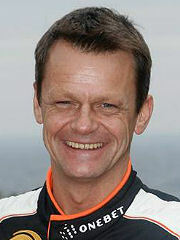 It's not possible to do times like Jari-Matti's from this far down in the start order. 10. 02. 2017 09:43 3 (14 - Østberg Mads / Fløene Ola): I tried to push but there were some difficult lines in there. I tried my best, the speed is incredible. We need to push a little harder. 10. 02. 2017 08:34 2 (14 - Østberg Mads / Fløene Ola): Tricky. Lines going everywhere and a lot of snow on the road. 09. 02. 2017 20:55 1 (14 - Østberg Mads / Fløene Ola): Quite tricky. It's my first time in one of these cars on a stage like this. The car is fantastic but quite difficult in a stage like this. I cannot wait to get out onto the stages tomorrow.